/bɑs ˈtjɛ̃ no ˈse ʁɑ/ (hadess) | News: GNOME 3.0 is out! Loads of thanks to all the people who have helped, poked, nudged, nagged, and kept me honest for the past 9 months, in no particular order, Rodrigo Moya, Thomas Wood, Jon McCann, Richard Hughes, Luca Ferretti, Giovanni Campagna, Cosimo Cecchi, Matthias Clasen, Florian Müllner, Kjartan Maraas, Sergey Udaltsov and Daniele Forsi, and most likely a number of people that I'm forgetting. They helped make the System Settings (including my favourite parts, the Bluetooth and Sound panels) what it is in GNOME 3.0. 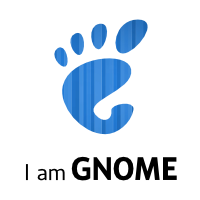 Any ideas if there is plans to port GNOME 3 to Wayland?